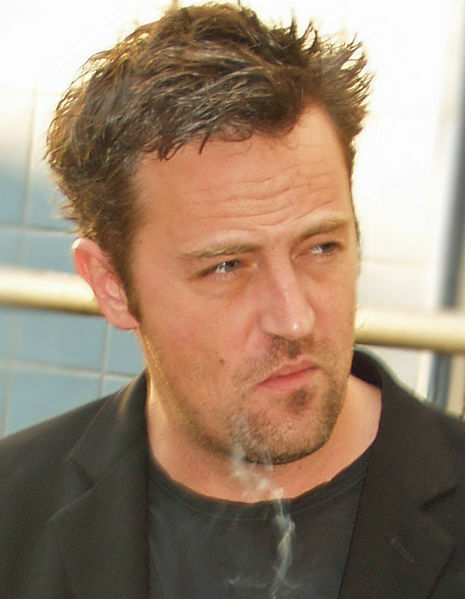 Matthew Perry was born in Williamstown, Massachusetts, United States, on August 19, 1969, is an Canadian-American actor. Young Matthew Perry began his acting career in the ABC’s drama series 240-Robert, in episode "Bank Job" (1979) in role as Arthur. He made his big screen debut in coming of age drama movie A Night in the Life of Jimmy Reardon (1988) in role as Fred Roberts . Matthew's breakthrough performance came as Chandler Bing on the NBC's sitcom Friends (1994–2004). He was nominated for the Golden Globe Award and for the Primetime Emmy Award for his role as Ron Clark in television film The Ron Clark Story (2006). He portrayed Oscar Madison in television sitcom The Odd Couple (2015-2017). He was a top ranked junior tennis player. He dated actress Julia Roberts (1995–1996). He was in a relationship with actress Lizzy Caplan (2006–2012). He dated Neve Campbell (1998) and Renee Zellweger (2002). Good friends with actress Jennifer Aniston. Close friends with Bradley Whitford and Hank Azaria. Fan of Toronto Blue Jays. Fan of the Fallout video game series. He is a supporter of the Lili Claire Foundation. Chandler's the guy everybody thinks will do well with women, but he thinks too much and says the wrong thing. To be a comedian, you have to have some darkness behind it. I certainly draw on my past, and it helps. I never really thought of myself as a physical comedian. But when I was a kid, I used to, you know, pretend to trip over things to make girls laugh in school and stuff like that. So I kind of learned how to fall without hurting yourself. I loved playing Chandler. I grew up playing that part. 'Friends' was a magical thing, and no one's going to ever have anything like that again. When I was younger, I used humour as a tool to avoid getting too serious with people - if there was deep emotional stuff going on, then I would crack a joke to defuse the situation. I need a woman to have a quirky sense of humor. There's a bunch of jokes I use, and if she doesn't get them, she's probably not for me. I was a guy who wanted to become famous. There was steam coming out of my ears, I wanted to be famous so badly. You want the attention, you want the bucks, and you want the best seat in the restaurant. I didn't think what the repercussions would be.